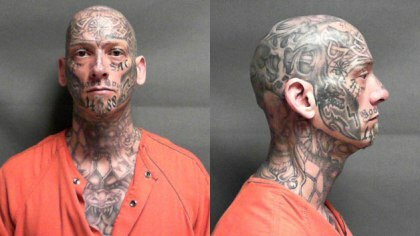 Judkins is 5’10”, 160 pounds, with a shaved head and extensive tattoos throughout his upper body, including face, head, and neck. New Hampshire Joint Fugitive Task Force is asking anyone who sees Judkins call authorities immediately. NH high schools will incorporate the Poetry Out Loud program into their English Language Arts curriculum again this school year. The NH State Council on the Arts has opened registration for the 2017-2018 Poetry Out Loud program for 45 high schools and high school groups. The program is part of a nationwide initiative where students analyze language and context of poems that span eight centuries. The students memorize and recite poems from hundreds of poems identified by the National Endowment for the Arts and the Poetry Foundation that represents great poetry internationally. Competitors are judged on the quality of their presentation, accuracy, and understanding. Participating schools are provided with free training, professional development clinics, and resources for educators, along with poetry recitation and public speaking clinics for students. New Hampshire educators interested in having their high school take part in 2017-2018 New Hampshire Poetry Out Loud or who would like more information can contact Julianne Gadoury, 603-271-0791, julianne.gadoury@nh.gov. Give to well-recognized charities that have a record of accomplishment of service. Check out the charity’s reputation on Charity Navigator, Better Business Bureau’s Wise Giving Alliance or GuideStar. Think twice before giving to individuals raising money through online giving sites such as GoFundMe, CrowdRise or YouCaring unless you know the individual. Do not give immediately but research an organization before responding to an email message or phone call asking requesting help for Texas flood relief. Do not give your credit card number over the phone.